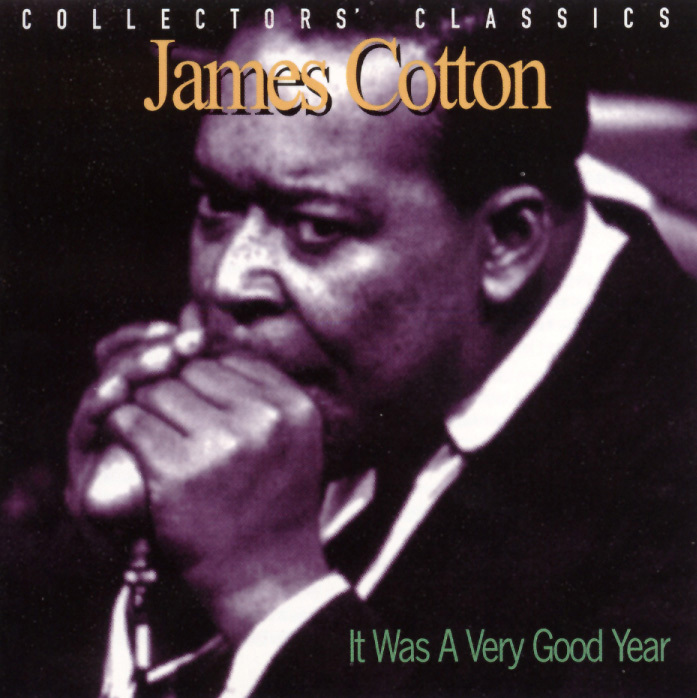 James Cotton's It Was a Very Good Year is a tribute CD that has been restored from its "live" performance in Montreal's the New Penelope Cafe in the late '60s. The benefit of today's technology has assisted in capturing the chomaticism inherent in the harmonica playing ofJames Cotton, excitement of Albert Gianquito's piano (you may remember him from his stints with Santana), Bobby Anderson on bass, Francis Clay on drums, and Luther Tucker on guitar. This blues band features a broad selection of tunes that range from the opener, "It Was a Very Good Year," in a sultry Latinized version to "The Midnight Creeper," a number loosely based on Little Walter Jacobs' "Juke." Cotton performs excellent covers of Muddy Waters' famous "Hoochie Coochie Man" and Otis Rush's big hit, "I Can't Quit You Baby." The highlight of this great set is the Paul Butterfield Blues Band hit "One More Mile," written byCotton and featuring a dark elemental blues, which is a stark contrast to Cotton's well-known style. This is a great find for those that may have thrown out their Cotton LPs, and this newly restored CD is a nice treasure for blues fans.